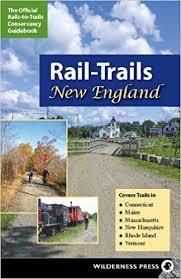 Description at CTBikeRoutes: This ride’s route makes extensive use of state roads (Rtes. 1, 80, 145, 148 & 79) for an approximate total of 19 miles. All have smooth biking surfaces and a shoulder that makes for comfortable, fast biking. There are several hilly sections en route with 1921 feet total elevation gain/loss making it an ideal training ride but not necessarily a great choice for a Social or Recreational ride. 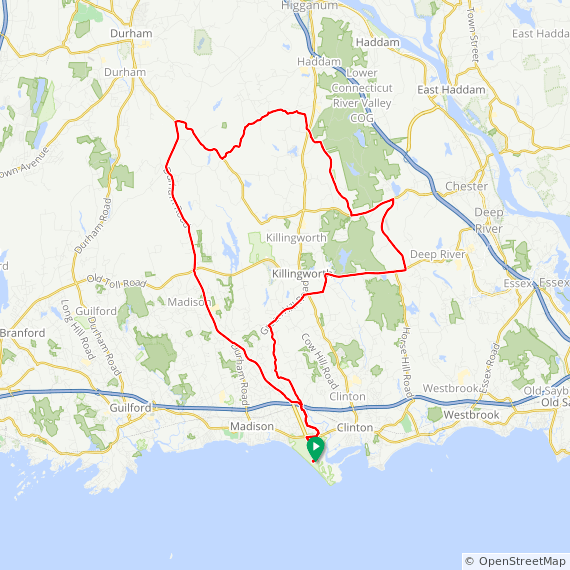 Start: The ride starts at Hammonasset State Park in Madison and travels through portions of Clinton, Killingworth, Deep River, Chester and Haddam.